Steam Broadcasting is Here! What Can You Actually Do With It? Twitch may be the center of the universe when it comes to streaming live gameplay, but setting up a stream there can be a little intimidating How To Live Stream Your Gaming Sessions Using Open Broadcaster Software How To Live Stream Your Gaming Sessions Using Open Broadcaster Software Live streams have become all the rage these days in the world of gaming, and with Open Broadcaster Software you can join in with your own streaming sessions for the world to watch. Read More . You need to download and setup streaming software, decide how to arrange your broadcasting windows, and more. 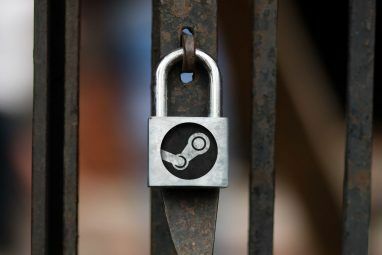 If you’ve been afraid to start streaming gameplay, Broadcasting might be the useful Steam feature 8 Steam Features You Didn't Know You Had 8 Steam Features You Didn't Know You Had You probably think you know how to use Steam pretty well. As with any piece of software, there are features you use everyday, and those you don't know you have until you look. Read More you’ve been waiting for. Read on to see how you can find streams, and setup your own! If you’re just looking for all of the streams currently live on Steam, all you need to do is click the Broadcasting link under the Community drop down menu at the top of window. If you’d like to only see streams for a specific game, you’ll want to travel to that game’s Community Hub. You can reach any game’s Hub from its Store page, or from its entry in your Library if you own it. Once you get there, the Broadcasts button will be near the top of the page. Live broadcasts are arranged so that the most popular ones are listed first. Take a look through your options and see if anything appeals to you, or search for a specific game or Steam user at the top of the page. Unfortunately, the system doesn’t have any tags to note the broadcaster’s native language yet, so for now, you may stumble into a stream or two in a language you don’t understand. Once you select a stream, you’ll find a layout that’ll be very familiar if you’ve ever viewed streams on Twitch or a similar service. The chat box on the right lets you chat with the broadcaster and other viewers. In my experience, the delay between sending a message, and hearing the notification arrive on the broadcaster’s end was somewhere around 10-12 seconds, but that may differ based on a host of variables like connection speeds and traffic. Note that this isn’t due to the messages taking longer to arrive, but rather due to the delay in the broadcast reaching you, the viewer. Here’s a quick tour of what you can customize. 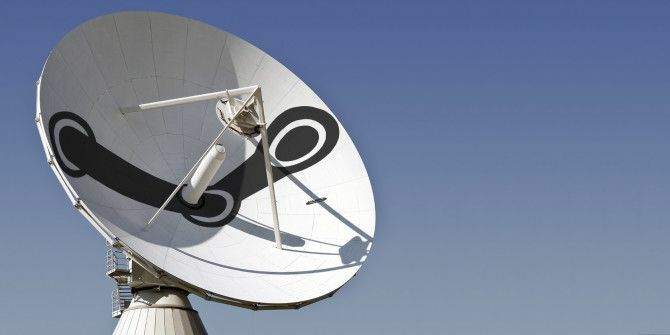 Privacy Setting – Decide if you want to lock out broadcasting entirely, approve viewing requests individually, open your gameplay to all friends, or broadcast to the public. Keep in mind that if you choose either of the latter two, people may drop in on anything you launch through Steam, though you will be notified when they arrive. Video Dimensions – The resolution of your outbound broadcast. The higher you set it, the sharper the picture will be, but mind the next option. Maximum Bitrate – Bitrate can refer to a number of things, depending on the context What Is Bitrate & Why Is It Important? [MakeUseOf Explains] What Is Bitrate & Why Is It Important? 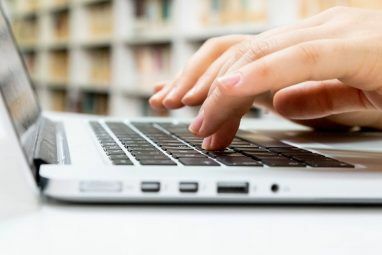 [MakeUseOf Explains] With today's technology, we can expect high amounts of speed and quality with everything that we do on our computers, our smartphones, and any other recent gadgets. However, while this increase in speed and quality... Read More . Here, it determines the maximum speed at which your broadcast will upload. If you set it too low for the resolution you chose above, your viewers may see dropped frames and other interruptions. Your Internet service provider may also enforce a maximum upload rate on your service. If you’re not sure what to choose, try to meet these rates at absolute minimum. If you can exceed them by a step or two, that much the better. Show Viewer’s Chat – This determines which corner of your screen will show messages from your viewers, assuming you don’t deactivate the feature entirely. The messages only appear briefly, so if you miss them, you’ll have to catch up in your Steam overlay. The overlay is bound to (Shift + Tab) by default. 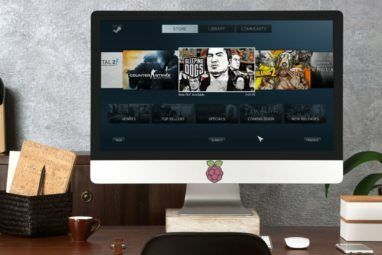 Record Desktop – If checked, Steam will broadcast your desktop if you tab out of fullscreen or minimize your game. If unchecked, Steam will display a placeholder image, keeping your desktop private. Record My Microphone – If this is checked, you’ll be able to talk directly to your viewers rather than typing back to them. A small microphone icon by the LIVE status indicator will remind you that people can hear you. Mind the delay mentioned above. See Upload Stats – Like it says, this lets you see your upload stats. This information can help you troubleshoot your broadcast. Always Show Live Status – This option only appears if you make your broadcasts public to all users. Leaving it checked displays a LIVE reminder in the corner of your screen at all times. Once you start playing, you’ll broadcast as soon as a user chooses to watch your stream. If you’d like to specifically invite friends to watch, you can do so from their names on your Friend List. Remember to answer their chat messages in your Steam Overlay if you’re not using a mic. If you want to stop broadcasting without closing your game, just go to the Stop button in your Overlay as shown above. If you’d like to type in your chat from the Steam client or a browser instead of your overlay, find your stream and join it as a viewer. Just remember to mute the stream so you don’t get two sources of game audio at once. If the game you’re playing doesn’t have a windowed mode built in, some games can be windowed by pressing (Alt + Enter). This will help you reach windows to manage your stream without having to tab in and out of fullscreen mode. Some games draw in viewers more quickly than others Can't Get Viewers on Twitch? You're Playing the Wrong Games Can't Get Viewers on Twitch? You're Playing the Wrong Games Trying to build an audience on Twitch feels like hosting a party that you forgot to send out invitations for. If you want to boost your traffic, consider these questions when you pick a game. Read More . Be a good stream host 10 Tips for Building an Audience for Your Live Streaming Channel 10 Tips for Building an Audience for Your Live Streaming Channel Are you starting a Twitch channel and wondering how to create an exciting stream? These tips will help you draw loyal, regular viewers and expand your audience. Read More . Steam Broadcasting isn’t just about streaming to the world. In its more limited modes, you can use it to just show one friend or relative a game that excites you without any pesky strangers eavesdropping. Would you like our community to watch you play? Leave your Steam name and what you’ll be playing publicly in the comments so they can find you! sadly, it doesn't work with Linux. Sadly it only supports Win 7/8 at the current moment. I wonder if it will broadcast games you have linked to your steam. For example if you use you steam as you whole gaming library. It would be intersesting though, because you can see what a game is and the style of it without having to try a demo or buy it then it turns out you dont like the way it looks. I could have sworn I put this in the article, but looks like I missed it. You can broadcast non-Steam games that you've added to your library! I tried it with Guild Wars 2 and had no problem.